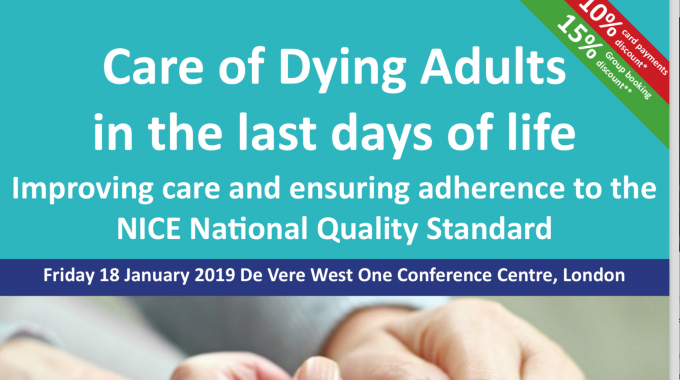 On Friday 18th January I was invited by Healthcare Conferences UK as part of my role within the Hospice UK People in Partnership Forum to deliver the first speech at their conference titled “Care of Dying Adults in the Last Days of Life”, on putting personal experience first. I wanted to rework this speech into a blog as I feel it holds some key messages that people could take a lot away from the speech. #HelloMyNameIs Lucy, I’m 25 and I have a rare life-limiting condition which has caused multiple organ failure, complex medical needs and physical disability. I’ve been under palliative care since I was 17 and have exceeded every prognosis I’ve had, I shouldn’t still be here but I am and I have a lot of living yet to do! 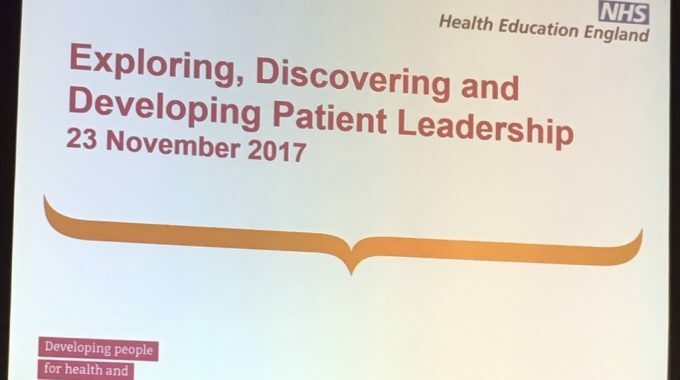 I wanted to share my thoughts on ensuring patients and carers are informed and engaged effectively in the care and support they receive, that they understand what is happening and what the end of life process will be like and understanding what to expect, as well as about how we can best personalise the care of people approaching and at end of life. I am a very active and engaged patient, because the professionals involved in my care have empowered me to be the patient I am. Through providing the right information and support and through their encouragement, they have enabled me to be a part of my own medical team, to understand my condition and needs, to be able to self-manage as far as is physically possible and also to know where to seek further information. They have also empowered and supported my mother to be an informed and educated carer, who has been supported to develop the skills and confidence to manage what are very complex medical procedures in order to keep me alive and at home, and supported her to know what to expect, what to do and how to manage my life and end of life. Patient empowerment and patient activation is crucial, as it is for carers too. This is important for any patient, especially those with ongoing health needs, but I believe it is crucial none more so than for patients and carers facing life-limiting illness and approaching end of life. We need to build confidence, capacity and competency, giving them the knowledge and skills in order to manage their (or their loved ones’) condition and needs, understand what is happening and what to expect, knowing what to do in various situations, to understand the various medications and interventions they are or their loved one is having, and being able to manage situations as far as is possible without always turning to emergency services or overstretched community services – especially out of hours where such support and services may be non-existent or where a trip to hospital is the only option. Our natural instinct is to dial 111 or 999 and often even when the individual wants to remain at home, the only choice is for paramedics to take them to hospital. Provision of information is a vital part of care of people approaching and at end of life. Having effective plans in place is essential, both for the patient and carer to follow, as well as for paramedics, healthcare professionals and others involved in their care to know what to do and have a personalised care plan and/or care escalation plan to follow. a key contact so dying people know who to contact at any time of day. Care planning is vital, and one care plan is not enough. I believe patients approaching end of life should have a personalised care and support plan, for their general care, needs and support, which is produced in collaboration with the patient, their family and professionals involved in their care. They should, as we all know, also have an advance care plan, including a statement of their wishes and things they do and do not want, their preferred priorities of care and preferred place of death, a DNACPR if the person doesn’t want to be resuscitated, whether there are any treatments or interventions they want to refuse and thus whether an Advance Decision to Refuse Treatment is needed, and the appointment of a Lasting Power of Attorney. These require professionals having conversions with patients at the earliest possible time, involving everyone who is relevant to that person and their life, as well as any and all relevant or requested professionals involved in their care. However, I also believe that, in addition to the personalised care and support plan, and the advance care plan, patients living with a life-limiting illness and especially as they approach end of life, should have a care escalation or emergency care plan. This would need to be produced in conjunction with the patient and family/carers, as well as the GP, the ambulance service, district nurses, secondary care professionals and also specialist/tertiary care professionals as required. I learnt at a conference that paramedics can administer “as needed” medication so long as the patient has the medication at home and they have a medication administration record or drug chart written up for this medication, and this requires cooperation between the GP, local services and specialist teams to work together to produce a plan as to care escalation and what can and can’t be provided within the home. It’s also about having coordinated care, having a team in place who all know what their roles are and that care is coordinated amongst all the professionals involved, so this burden doesn’t fall to patients and carers. I talked about three different types of care plan that are essential at end of life previously, and three care plans may seem like a lot, but I feel it is necessary to capture the three key care planning aspects, one which is a general, personalised care plan relevant to living life, day to day care, support services involved – this care plan may be produced by the hospice, or by the community nurses, or others involved in the patients’ care, and outlines their care on a general basis. An advance care plan outlines their wishes for end of life and what care or intervention they want or do not want and other details like preferred priorities of care and preferred place of death, and lays the legal groundwork for active steps to ensuring those wishes are fulfilled. The care escalation plan is a framework in place for healthcare professionals to follow in an acute situation, which combines aspects of the other two care plans into a document that outlays what professionals can do in situations to help the patient, and also outlines the patients’ wishes in terms of what care they do not want to receive and thus when care shouldn’t be escalated but other steps taken to support the patient and carer and to manage symptoms, and who to contact in terms of supporting the patient in this situation, which may include phoning the hospice for an emergency admission or to review the patient and support them at home. Also vital are carer’s assessments, to ascertain the needs, wishes and preferences of carers as their loved one approaches end of life. as well as a care plan that their families or carers can refer to throughout the process. A care plan is as much owned by and aimed at the patient and family, as it is the professionals involved. We need to have conversations as early as possible, to empower and build capacity in patients and carers to manage their life, care and end of life, to describe the process and take some of the fear out of it, and to put various plans in place at the earliest opportunity to support the life and care of the patient and their family. Empowered, knowledgeable and prepared patients and carers are the ones who will cope best with the end of life process. As Dr Kathryn Mannix talks about in her book, With The End In Mind and also in the speech she delivered so eloquently in her plenary at the Hospice UK conference in November last year, we need to give death and dying back to patients and their families and we need to narrate the dying process. Knowing what to expect at each stage, what it means, to comfort and reassure, to explain the process of dying, is vitally important to facilitating good end of life care and to enabling empowered patients and carers. It’s not just about informing and educating patients and carers, creating care plans and having conversations, it’s also about building care and support around the individual and their unique lives, needs, wishes, personal situations and desired care outcomes. You can’t give the same care to each person and expect it to be right for every patient. and then the next step begins with personalised care and support planning. I, and the people important to me, have opportunities to have honest, informed and timely conversations and to know that I might die soon. I am asked what matters most to me. Those who care for me know that and work with me to do what’s possible. Each person being seen as an individual is essential to personalising end of life care for each patient. Personalised care and support planning, as detailed above, allows care to be personalised and built around the unique needs of the person, and respects that all people are different. Personalised care enables professionals to facilitate the best quality of care and quality of life for patients and their families, and enables their chosen quality of life as far as is possible. We are all individuals with different wants, needs, desires and preferences and thus what we class as quality of life is very different to what the next person would consider quality of life. It’s also important to recognise that end of life care is not just about medical care, but also about social needs, practical support, emotional and psychological wellbeing and also spiritual fulfilment. Personal Health Budgets are part of the personalised care provided by the NHS. I believe they should be instituted as early as possible for patients, to build a package of care around their needs, based on a personalised care and support plan, as these can transform care for people with health needs and life-limiting conditions, especially those approaching end of life. However for those who only need a care package as they approach the end of their lives and not throughout the course of their illness, there are now pilots being conducted on Personal Health Budgets for End Of Life Care. These are instituted using the fast track Continuing Healthcare tool to build a Personal Health Budget for the patient as they approach end of life. I believe these have the power to transform end of life care. They enable personalised end of life care by giving the patient and their carer greater choice and control over their care, who it is provided by, where and when, across end of life. I believe this will enhance their chances of ending their life in the place of their choice, and it will enable the package of care to be built that can then be enacted as soon as is needed. This, once again, is built around a personalised care and support plan. Patients could even commission their own end of life support. I mentioned that I used to receive 2 days care a week with a healthcare assistant from The J’s Hospice, and, although my Personal Health Budget isn’t specifically for end of life, I was able to commission my own care from the hospice. Despite being a patient of The J’s Hospice since early 2011, my CCG, until 2018, wouldn’t commission the services of The J’s, so, with a previous Personal Health Budget, I would fund the 2 days care per week, 16 hours in total, with the healthcare assistants, which was the only way my care from the hospice could be funded, commissioned by me directly out of my PHB. PHBs could transform the funding of hospice care through enabling patients to commission their own end of life care. With the hospice grant not being adequate for the growing demand on hospices, and the recent pay rise for staff in the NHS and NHS funded services affecting hospices as they have to increase the pay of their staff, without the government increasing the hospice grant to facilitate this, I have seen hospices express their fears about having to cut back services in order to balance the finance. With patients approaching end of life having a Personal Health Budget, could this not be a solution to hospice funding with patients being able to commission their own support? I am very lucky to have Continuing Healthcare already due to my complex medical needs arising from my life-limiting condition, and this is managed partially via a Personal Health Budget until we transition part of my care pack onto the PHB. This means I have the care and support around me, 24 hour care with 16 hours of this provided by an intensive care nurse. This is already in place, now and as I come to the end of my life, and this, alongside the support of the hospice, the palliative care consultant and my GP and if needed, the district nurses, means I have a higher chance of being able to die at home, as per my wishes and as outlined in my advance care plan. I hope you have this useful in terms of end of life care for adults, putting personal experience first and ensuring engaged, informed carers, improving information about what to expect at the end of life and how can we help ensure all care is personalised. A negative experience doesn’t die with the patient, it lives on in the minds and hearts of the loved ones they leave behind. We all have the power to give a good experience for patients and their families, through life and end of life and beyond into bereavement, by keeping patient experience at the heart of care.